In all of the long history of all of the arts, nobody has ever really known what was coming next. Not really. There’s always a lot of talk in every art, and definitely in dance, about how the art is changing, and there’s always a lot of speculation and announcement and definitive expertise about what will be next. But in all the long history of all of the arts, nobody has ever really seemed to know what was coming next. That’s why anyone interested in dance, and in how dance is changing, would want to hear more from Elia Mrak. Change never changes the way that people expect; ideas are rarely torn down and rebuilt, they’re more often rewoven. 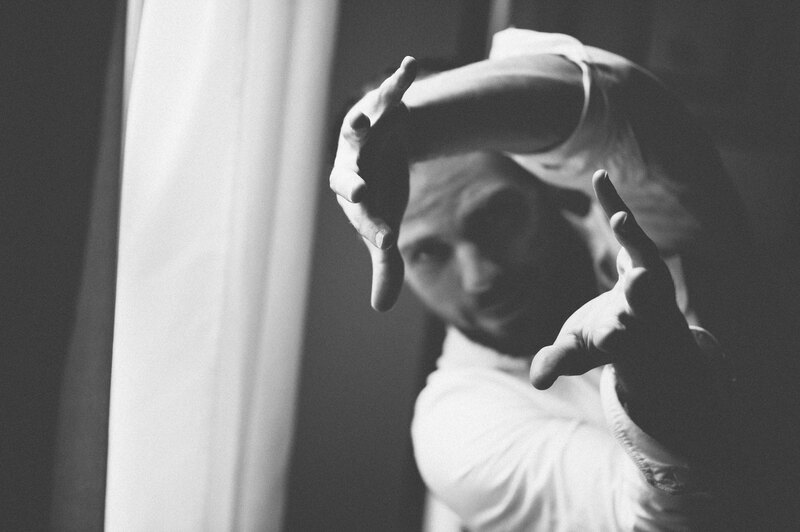 Elia Mrak has the thorough understanding of movement and dance that you would expect from someone with his touring, teaching and performance experience, but he seems to have a special gift for weaving threads of insight from many places, and from many disciplines, into a new understanding of what dance and movement can be. Elia Mrak can see continuity in ideas that others accept as unconnected. Then, in those underlying connections that so few others would find, he finds principles of creativity and inspiration, making new ideas from thoughts new and old. Then he shares all of it. the human body is the greatest resource we have for healing ourselves and empowering one another. Johnny Nevin: You’ve given a lot of thought to how and why the body is important, not just in dance, but in many different ways that impact and define our lives. When we spoke, I remember you saying, “I’ve come to the conclusion that the human body is our greatest resource for change” — an idea I found both intriguing and optimistic. What have you found in your experiences that has made you so aware of the way our bodies relate to our development, and what do you mean by ‘resource for change’? yes, i would refine it even more to say – the human body is the greatest resource we have for healing ourselves and empowering one another. dedicated to recapturing our individual vitality and collective strength through movement workshops, artistic performances, and community health programs around the world. it’s time we stop seeing our body as a source of all that is wrong with us – a source of weakness, loneliness, and shame. and it’s time we start using our body as a source of strength, connection, and joy. at aMovementMovement, we improve health. we build community. and we dance. why? because dance inspires, health empowers, and community makes us feel like we belong. how? by teaching movement workshops, producing dance performances, and implementing community health programs. i believe deeply in the capacity of the human body to change the world. Johnny: Teaching is an important part of your work, and its importance seems to have several dimensions. You’re very aware of the community that can build around a group of people learning and practicing together, but it also seems that your teaching relates very much to your choreography. What is it that you find so valuable in teaching? i perform when i teach, and i teach when i perform. they are not separate but two forms of being vulnerable and generous. specifically, i love talking about “pedagogy”. there are three specific pillars of pedagogy: this first is a direct exchange of information, in which the teacher conveys her knowledge to the student; the second is growth, in which the teacher opens a new door for the student to discover and pass through themselves; the third is more nebulous, and borne out of the first two. it is a journey, in which the teacher and student collaborate and discover simultaneously. the value in quality pedagogy is a blend of all 3. this recycling of energy also ensures that the teacher doesnt burn out. i love teaching because i learn from others, i give to others, and i am in community with others. Johnny: Dancing can be many things, and has been many different things throughout history and around the world. For example, besides your work in concert dance, you’re also a bboy and a house dancer, and in your travels you’ve seen dance in many different cultural settings. How does all of this come together in your imagination of what dance is, and what it can be? dance has been domesticated. the spiritual, shamanic, and visceral vitality that is human movement and storytelling has been tamed. it has been polished to adhere to specific (ruling) tastes and preferences. i think that bboy/bgirl/house is our current folk dance. but it is really just the latest in a long lineage of artists, philosophers, theologians who use the medium of the body to express themselves through their movement and musicality (and voice). this lineage of folk/shamanic/house/bboy dance is about expression and ritual, but even more about community. contemporary dance can be too, and needs to be if it is going to be seen as a vital cultural currency in the future. my work is about bringing that ritualistic root to my workshops, processes, and performances. “Danzantes” in Latino cultures used to bring the rain, and heal people. if we aren’t pursuing that level of power as contemporary dancers, then we aren’t honoring our full lineage and power of dance. Johnny: As a choreographer, what is your process like? For example, is the work that you will be creating with the Hubbard Street Professional Program something that you already have fairly well defined, or do you more often create as part of a process with dancers? my process is about working with the people in the room, including myself. i have scenes, emotions, ideas, and images that i pull from my life and the world that i observe. i bring these into the room, but to me it is about meeting people where they are at. the process is about inspiring them to share what is honest, true, and unique from them. and we mold that into a story that is accessible and universal. my process is also about creating a group. if it is a group process, and a group performance, then we first need to create, and maintain the group. you can call it a tribe, or a community, or a team. but there needs to be trust, support, and healthy competition. if we have that, we can make anything. but if we dont have that, we have nothing. Johnny: You’ve worked with Alexandra Wells, Hubbard Street Dance Chicago’s Director of Artist Training, many times before. In fact, after teaching the past two summers at Springboard Danse Montréal (which Alexandra created with Susan Alexander in 2001), this June you’ll be one of the teachers at the inaugural Springboard X in New York City. Was your prior work with Alexandra a factor in your decision to come to Chicago to work with the Hubbard Street Professional Program this March? Elia: we both share a deep love for teaching. and what it means to mentor. she told me the first year i worked with her, “When you tell students ‘i don’t know’, you give them permission to also not know.” i have kept that wisdom close to my heart ever since. my trust in alexandra and my desire to share my work with the HSPro dancers are the 2 reasons i will be there this march. i am honored to share my work, and equally honored to do it in collaboration with alexandra. she is a visionary (and i dont use that word lightly) who believes deeply in the capacity to train our body and imagination to be as potent as possible. she has a unique perspective about where the dance world was, where it is, and how she wants to shape where its going. and i want to be part of that journey. Elia Mrak will be teaching and choreographing during the month of March, 2018 at the Hubbard Street Professional Program. For more information about Elia Mrak, check out eliamrak.com. There’s more information about the Hubbard Street Professional Program at the HS Pro Hubbard Street site. The Chicago Auditions for the Hubbard Street Professional Program will be at Hubbard Street Dance Chicago, Lou Conte Dance Studio (1147 West Jackson Boulevard, Chicago, IL 60607) on Saturday, February 24, 2018, from 10am to 2:30pm.